The “Cutting Room” is for sections of the manuscript that didn’t make it into the published book. The first item I published came in response to a question in the discussion forum — from a perceptive reader, Andrea, who noticed that my entry on evolution was curiously devoid of an explanation. I responded in the forum, so you can read the missing passage there. 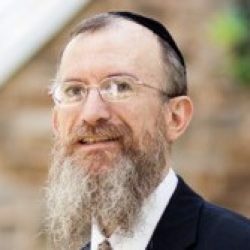 As a footnote, you should also see Rabbi Yitzchok Adlerstein’s article, “Inherit an Ill Wind, and Other Musings About Science,” on Cross-Currents.